It's amazing how time flies when you're caught up in the daily work routine, but as soon as you're ready to leave town on vacation, it's tick...tick...tick. It's the night before I leave for Africa, and the house is quiet except for the irregular tapping on the keyboard in my darkened study. I'm feeling like a kid who's about to get on an airplane for the first time, with too many thoughts swirling in my head to sleep. That's okay, there will be plenty of adrenaline to get me through the day ahead. Gearing up for Africa has been unlike anything else I have ever done. First, I had to understand my travel options and make some decisions. If you've never been on a safari before, here's the process, in a nutshell. 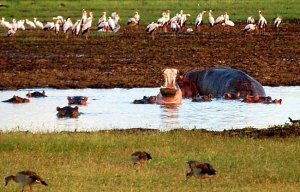 There are organized safaris in nine African countries and four distinct regions, and each affords a different experience. Some safaris concentrate on a single country while others combine two, three or more countries into a single trip. 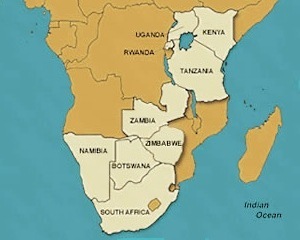 East Africa (Tanzania and Kenya) has the largest concentrations of animals, world-famous Serengeti National Park and Kilimanjaro, Africa's tallest mountain. Drs. Louis and Mary Leakey discovered fossils of hominids dating 2 million years old in Tanzania's Olduvai Gorge, which played a major role in the understanding of human evolution. Southern Africa (Botswana, Namibia, Zambia and Zimbabwe) is known for game viewing on foot and in boats (in addition to open-air vehicles), unique species of birds and amazing Victoria Falls. The country of South Africa is unique in that it features the continent's most deluxe safari lodges plus the opportunity to add time in spectacular cities such as Capetown and Johannesburg. In Rwanda and Uganda you can track and observe mountain gorillas, an endangered species that resides in these two countries. 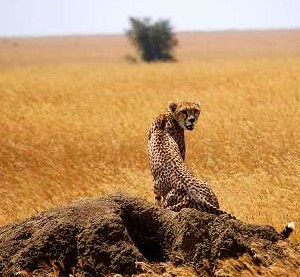 I chose Tanzania, primarily because I am there to see as many wild animals as possible. My June travel dates will coincide with the annual migration of more than one million wildebeest, which is said to be an amazing sight. Next, I selected a safari from one of the world's most respected tour operators, Tauck World Discovery. 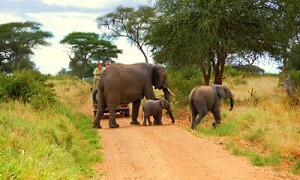 Safaris have names, and this one is called Tanzania: A Grand Safari. Then I was off to the travel medicine department of a local hospital to learn about health threats in that part of the world. I wrote earlier about the series of inoculations, prescriptions and repellants that are necessary to visit Tanzania. After that, it was time to kick the shopping into high gear, starting with the search for the right camera and lens for wildlife photography, binoculars and clothing suitable for safaris. I learned that blue and black clothing attracts insects and to stick with earth colors of tan, green and brown. I found out that clothing coated with Permethrin will discourage most flying and crawling insects, including malaria-carrying mosquitoes. I picked up some shirts and pants that were pre-treated and sold under the Buzz-Off brand at outdoors outfitter REI. It was there that I bought Permethrin to coat the rest of the clothes I plan to take. 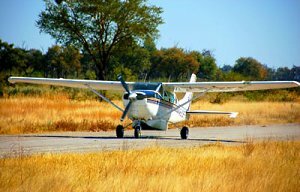 Most African safaris involve one or more flights on small prop planes with strict luggage weight restrictions. I've been known to pack for a big trip in 15 minutes, but fear of having to leave some of my freshly poisoned safari clothes beside a dirt runway somewhere caused me to do the unthinkable -- "practice" packing. Now every suitcase meets the weight restrictions -- I hope. There is a lion in my tent: Pana samba bi hema wangu. The last phrase is generally used while running at top speed. Now I merely need to make it through the night and it all begins.